Knowing the warning signs and symptoms of a heart attack is key to preventing death, but many people don’t know the signs or are in denial that they’re having a heart attack when it happens. About 47 percent of sudden cardiac deaths occur outside the hospital, which suggests that many people with heart disease don’t act on early warning signs. Chest pain or discomfort. Most heart attacks involve discomfort in the center or left side of the chest that lasts for more than a few minutes, or that goes away and comes back. The discomfort can feel like uncomfortable pressure, squeezing, fullness or pain. Other symptoms. 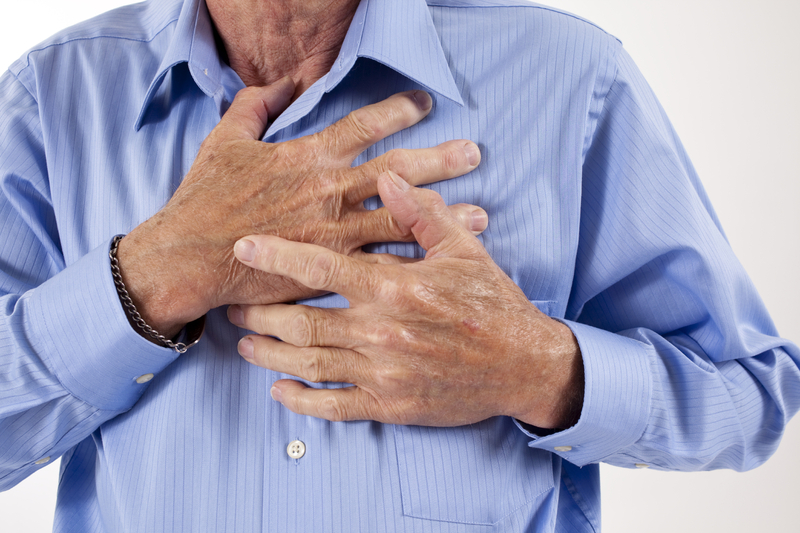 Breaking out in a cold sweat, having nausea and being light-headed can also be signs of a heart attack. Note for women: Like men, women most commonly have chest pain or discomfort as a heart attack symptom. But women are somewhat more likely than men to have some other common symptoms, particularly shortness of breath, nausea and vomiting, back pain or jaw pain. If you think you or someone you know is having a heart attack, you should call 911 immediately. Make sure your heart is in shape with one of our heart and vascular screenings.